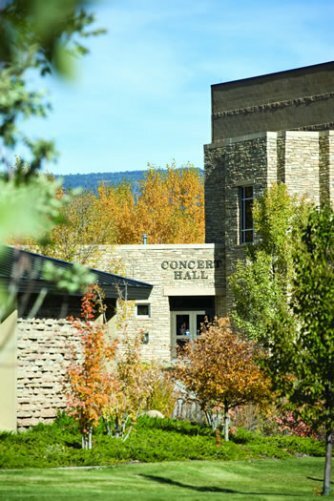 Located at Fort Lewis College with a Ticket Office downtown, the Concert Hall serves Durango and the Four Corners with a wide variety of world-class performing arts and music. 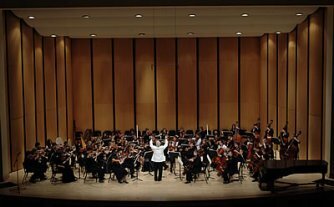 Originally planned to the house San Juan Symphony and other Fort Lewis College performances, the Community Concert Hall has grown into a remarkable host for community performances of all genres and interests. With roughly 600 seats and a state of the art lighting and sound system, the Concert Hall is proudly the largest performance center in the nine country region. Rent the Concert Hall for conferences, receptions, and musical performances. Receive discounted rates for non-profit and Fort Lewis College organizations!